Ambrosia Maple Dining table with heavy hand-turned legs. Matching trestle bench. 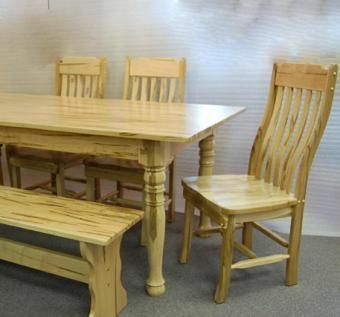 We build all kinds of traditional dining tables, in addition to our slab-style tables. We will be happy to build to your specifications!